Verizon combines these great networks with superior devices and communications solutions that make life better for people, businesses and communities. Our innovative technology empowers our customers, creates value for our shareowners and transforms our society for the better. Verizon is a network leader. In wireless, we offer the largest 4G LTE network in America and the nation’s largest high-speed 3G network. For residential customers, Verizon FiOS is America’s largest 100% fiber-optic network to the home, providing the nation’s fastest, most consistent and most reliable Internet service, as well as TV with the best picture quality. For large businesses, Verizon is a global IP leader, operating one of the worlds’ most connected public Internet backbone networks, delivering solutions that let customers securely connect, communicate and collaborate around the globe. communities, connected homes, work-at-home applications and mobile commerce – just to name a few. 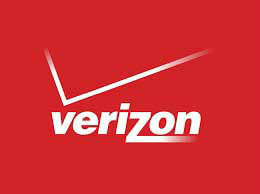 From wireless networking to fiber optics to cloud computing, Verizon has the most advanced tools. More than that, our innovators believe so much in the power of technology, they refuse to accept it can’t solve everything. So we meet every challenge with tireless determination. And it starts with one question: "What do we want to build next?"